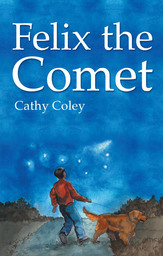 "Cathy Coley has written a heartfelt book about elementary school age boys, friendship and respect. This is a book parents should read and then share with the young readers in their lives." ~Veronica Chambers, co-author of New York Times best-seller, Yes, Chef, author of Mama's Girls and the YA Amigas Series.